Marine Le Pen has been acquitted of charges of inciting hatred on the December 2010 campaign trail in Lyon, France. The charges relate to the National Front leader’s comments comparing Muslims praying in the streets to the Nazi occupation of France in World War Two. In October Marine Le Pen told a court in Lyon she did not commit any offence. Prosecutors said she had exercised her right to free speech and was not referring to all Muslims. Marine Le Pen was charged in July 2014 after her immunity as a member of the European Parliament was lifted following a vote requested by French authorities. 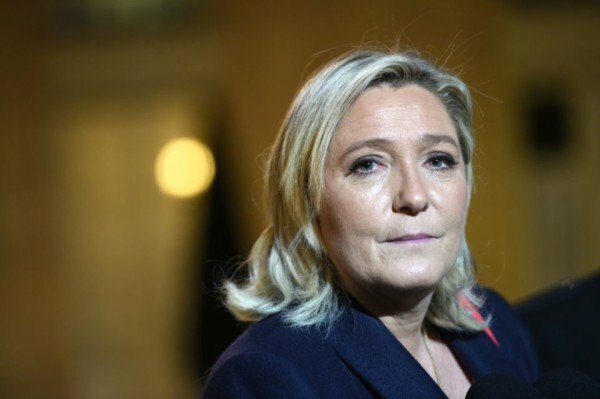 In her 2010 speech to far-right FN supporters, broadcast by French media, Marine Le Pen said that France had initially seen “more and more veils”, then “more and more burkhas” and “after that came prayers in the streets”. The case was originally dropped last year by the Lyon court of appeal but was revived by anti-racism groups who made a civil complaint. Praying in the streets was banned in Paris in 2011 in response to growing far-right protests. In the same year France became the first EU state to ban public wearing of the face-covering Islamic veil (niqab). The ruling came after Marine Le Pen’s anti-immigration FN gained a record number of votes in regional elections. The FN led in six of the 13 regions after the first round of voting, though due to tactical voting it did not go on to win any regions in the second round. The party received 6.8 million votes in the second round, amounting to a 27.36% share of the vote. “Nothing can stop us now,” Marine Le Pen told supporters after the result announcement.